Almost 14 months after the death of Bishop Vincent Darius, OP, the Bishop of the St George’s-in-Grenada, the Vatican on Friday announced the appointment of a new Bishop. Fr Harvey is scheduled to arrive in Grenada with the Papal Nuncio on 4 July for a 4-day visit, during which he will meet with priests, deacons, religious and diocesan officials. He will pay his respects to the Governor-General and the Prime Minister. He will also celebrate Mass in different places and pay his respect to ordinary citizens and parishioners. The date of his Episcopal Ordination has not yet been fixed, but it will most probably take place before the end of July this year. As a seminarian in 1975, Harvey gave a retreat to young people in Victoria and was ordained a deacon in March that year in St Mark’s Church, Victoria. He was ordained to the priesthood on the 27 June 1976. 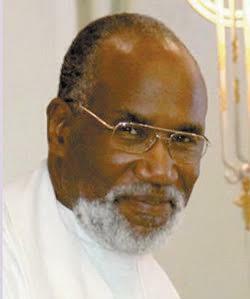 He has visited Grenada many times, preaching Lenten missions, and conducting retreats and seminars. Following the death of Bishop Darius in April 2016, the seat of the diocese was vacant. Fr Clifton Harris OP led the diocese during the transition and will continue to be the Diocesan Administrator until the ordination of Bishop-elect Harvey. Fr Harvey recently came into the spotlight after he was robbed while at prayer at his church in Trinidad. Hello I am a citizen of The Bahamas. I wish to congratulate the newly appointed Bishop Clive Harvey best wishes from all in our country. How may I contact him via email?